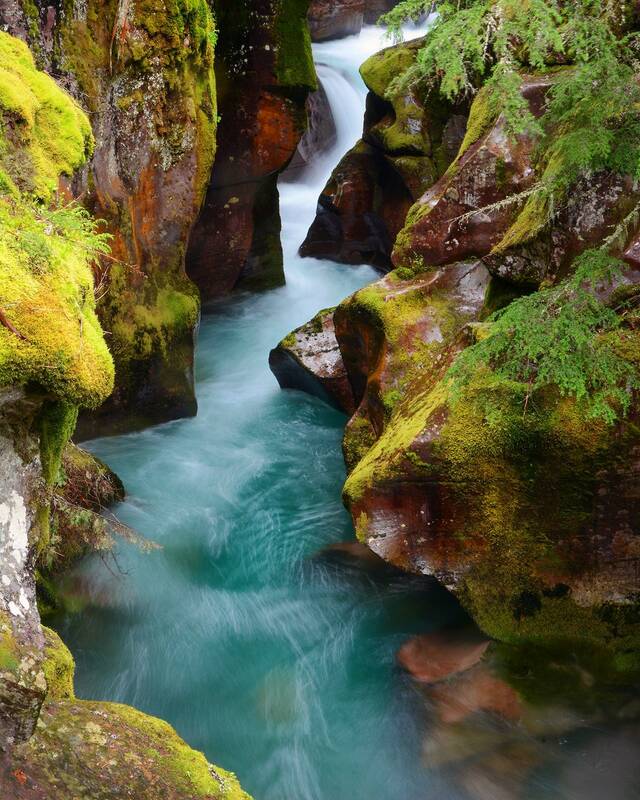 The stunningly beautiful Avalanche Falls, located in West Glacier Park, Montana, run through moss covered rocks and mountainsides on a rainy Spring day. ✭ This photograph is available as a photo on canvas, traditional photographic print, or as a wood photo block. Please choose your desired size and product from the drop-down menu above. ➤ All of wood blocks are made in my studio by hand. ➤ Each has beautiful, unique wood grain edges. No two are alike. ➤ No frame is needed, they are ready to display right out of the box. ➤ Each comes with a title label on the back with the title of the photograph. 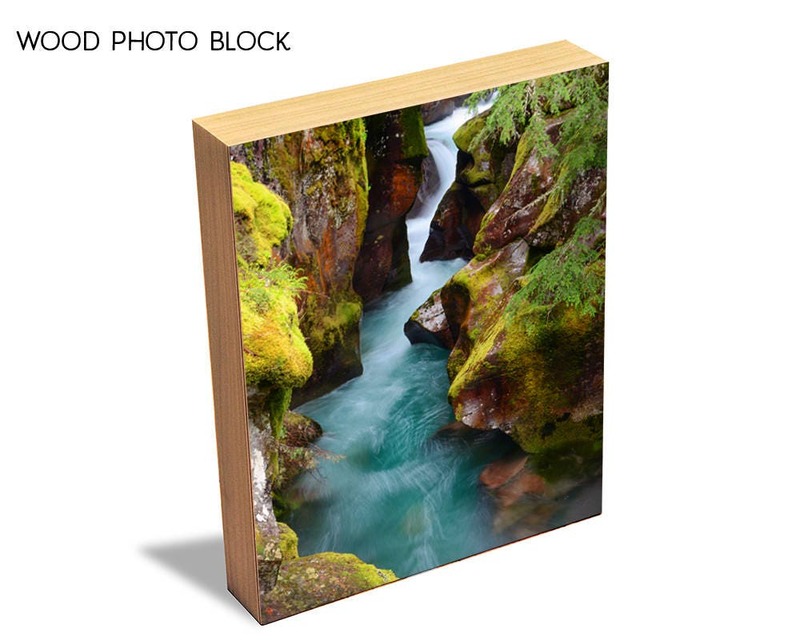 ➤ Wood blocks come with a protective finish applied to the surface of the photo, protecting it from dust and moisture, creating a long-lasting art piece. ➤ Many sizes are available, including custom sizing, at no extra cost. 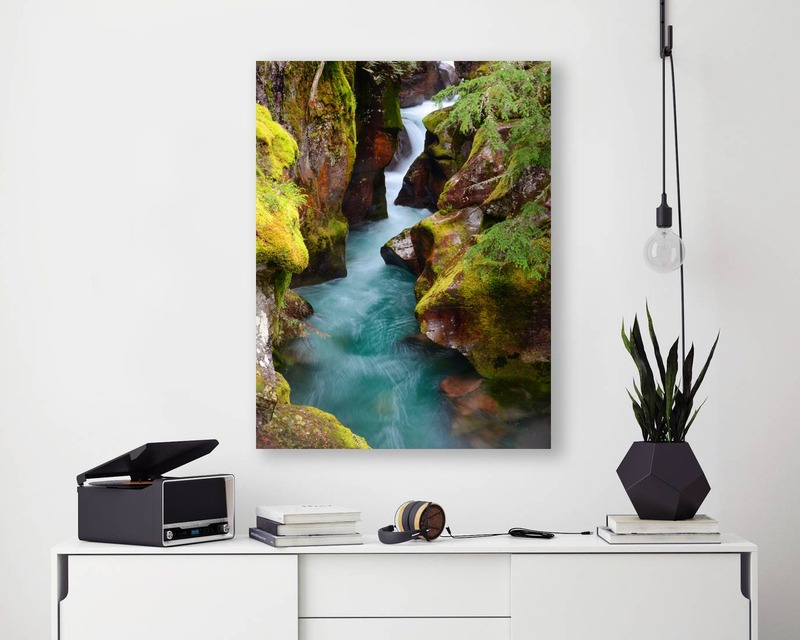 ➤ The edges of the canvas are 1.5" deep, and are custom colored to coordinate with the photograph. ➤ All canvas comes stretched on a wood frame with hanging hardware. ➤ Staple-free, clean edges for a "gallery style" look that needs no frame. ➤ Any custom frame can be added if you prefer. ➤ Contact us to get a price quote on custom sizes. 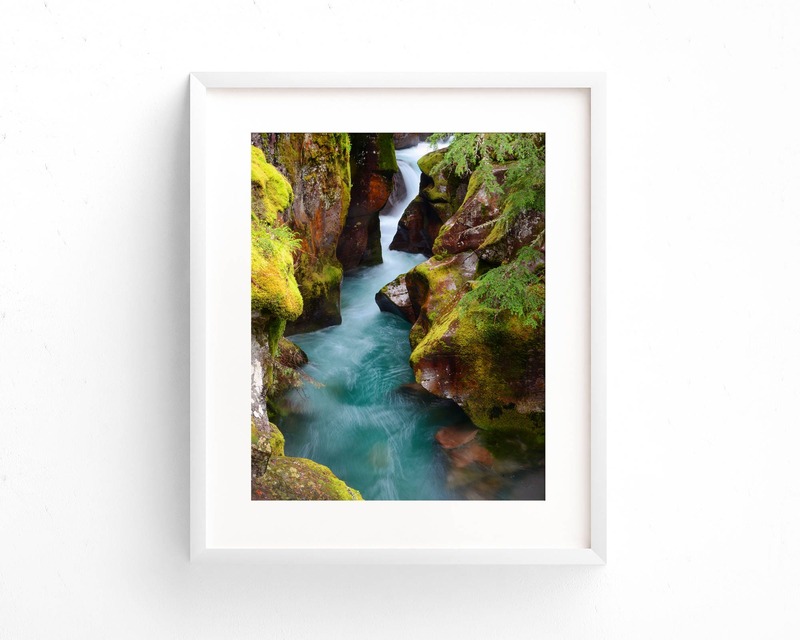 ➤Professionally printed using gallery quality lustre finish paper, to reduce glare when framed and retains vibrant colors. ➤ Printed using high definition inks for crisp details and bright colors. Let me know if you have other questions! Thanks!